There always a negative to not having cable (and not receiving broadcast reception in my boondocks location). In this case, it’s because I’m a season behind on most shows. However, my patience is rewarded by the benefit of only taking a few days to get through a season. This week we finished American Horror Story – Freak Show. I have to say, this is the first season of the show I have truly enjoyed and it’s sad that it had to end. The first season was good enough. In the beginning it had a feel similar watching the beginning of the original Hellraiser. That is both a compliment and a negative. It raises the bar for the standard, but the first Hellraiser is the most divergent in feel from the series. Strong sexual overtones and violence are the hallmarks – but then as the season progressed it became more of a ghost story. It worked well. Season 2 (Asylum) and Season 3 (Coven), both were uninteresting to me and I mostly had them in background attention while I read other things. 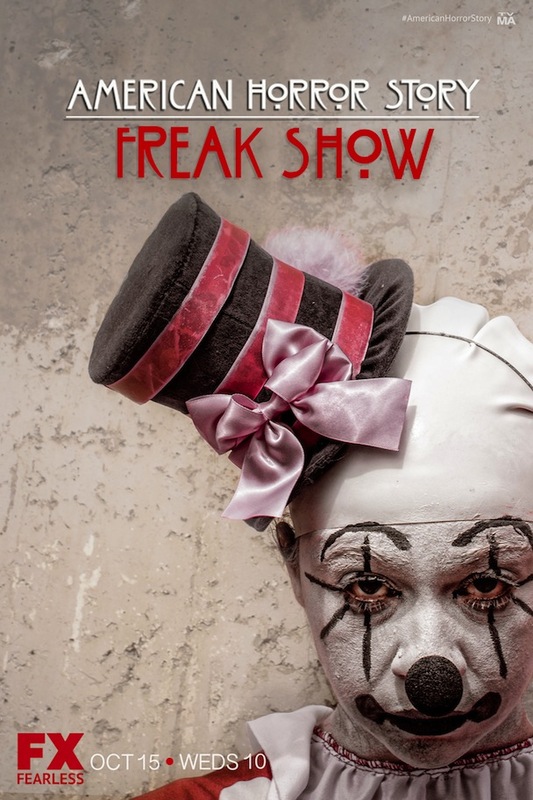 This month Season 4 (Freak Show) was added to Netflix. It was the engaging and fascinating of all the work they have done. It does help that I spent a few years working in a haunted house. There is a certain theatricality that goes along with presentation. Since I have friends going over 20 years working haunts, they definitely understand this. The love triangles, anger, upstaging, chest-pounding – these were portrayed in a way that felt familiar. This is the type of environment you run across in any theatrical environment that includes highly passionate people. That is something to remember that some people forget, these are all people. We are supposed to gawk because they are circus freaks. The show truly attempts to remove that aspect. They allow you to look past that. Viewers were brought into gawk, in the same way the actual freak business worked. Unlike actual freak shows, we are shown behind the curtains. All of the struggles are external from the core family. There is the chest beating between performers – but the true conflict is external. 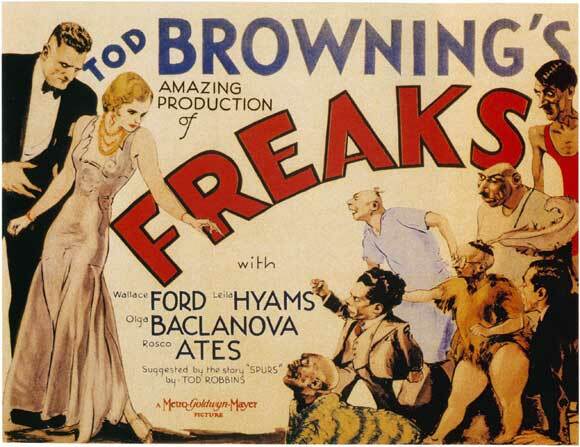 Of course the show itself took its cues from the movie Freaks. This is down to the types of freaks they chose for the show and some of the story line options. Unlike Freaks where they used legitimate circus performers, American Horror story decided on using a mixture of actual circus performers, CGI, and makeup. With the exception of the two-headed girl (sorry the CGI and camera effects were too distracting) everyone else felt legitimate. All of the performances were perfect. I don’t think I could classify anyone in the show as having a weak performance. 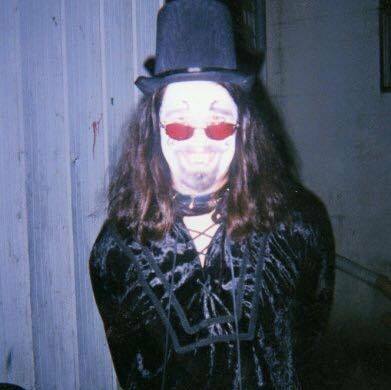 Just like a Freak Show – everyone played their part. The magic was good enough that we could see past any of the flaws. 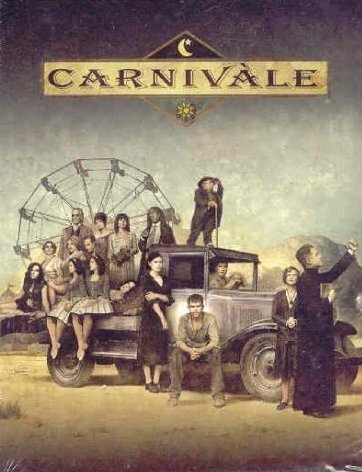 The other show that Freak Show reminded me of was Carnivale. Most of this was due to the stylistic and era choices for the season. While one is a freak show and another circus – neither really cross over to any similar storylines. In Carnivale the ultimate story was good versus evil. In Freak Show the core is more family and karma. The stylistic feel is what just took me back to that place. Carnivale was one of my favorite shows and they ended it terribly. It needed one more season to flush it out the end. That is a problem that American Horror Story should not face. Since each season is self-contained, fans will only be wanting more of a new story. I could have watched many more seasons of Freak Show, but there is a sense of ending that is proper. We don’t have to worry about unresolved cliff hangers. If a season doesn’t work – that’s ok there is something new next year. It’s refreshing – American Horror Story as really relaunched the idea of the mini-series. I know that the current airing season (Hotel) is supposed to be a worthy successor. I’m not sure it will be able to capture me the same way Freak Show did. Supposedly it has thread of The Shining running through it. I guess I’ll let you know next year when it makes it to Netflix.